A paper bridge in China, well you can expect just about anything in China can't you? Let's be more exact though because it was an origami bridge and it stood the test when a Range Rover drove over it in Suzhou, China. The bridge, which took three days to construct, was built from 54,390 pieces of paper and used what is called the arch technique to support the weight of the 2,374 kg SUV. Built by artist Steve Messam, the idea was that the bridge, like the Range Rover brand, is all about pushing boundaries. Need I say that this fourth generation Range Rover is also proving its lightweight design too? The event in Suzhou was in celebration of the 45th anniversary of Land Rover's Range Rover and it was the first time something like this had been done in China or anywhere else. 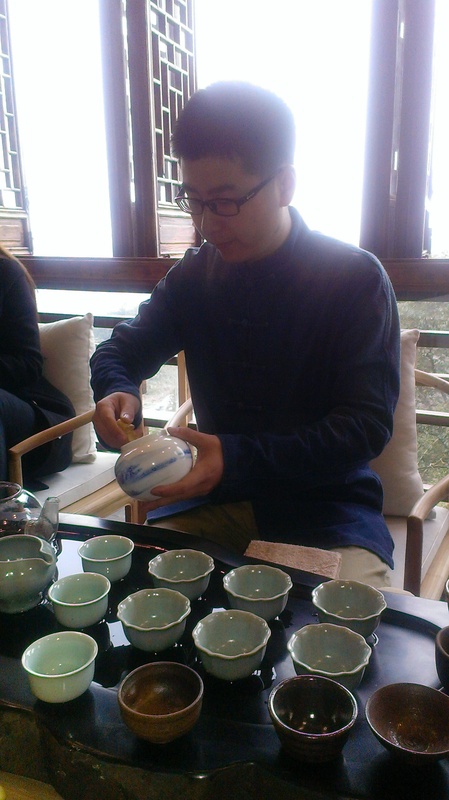 However, while there is a lot of new going on in Suzhou these days there is also much tradition to be found there too. When I visited I still felt that old world charm. In fact, the first morning I woke up in Suzhou I could already feel the magic. I have been to China before, but not this part about an hour outside of Shanghai. I was up early to experience the morning and just outside my window of the Pan Pacific hotel there was a fog enshrouded pagoda. Magic indeed, even though I could barely make the pagoda out, I remembered it from the night before as I went to bed. The morning sounds engulfed me and I could hear the birds and the tinkling chimes and bells and, just in the distance, the traffic noises come through as civilization competes with nature. 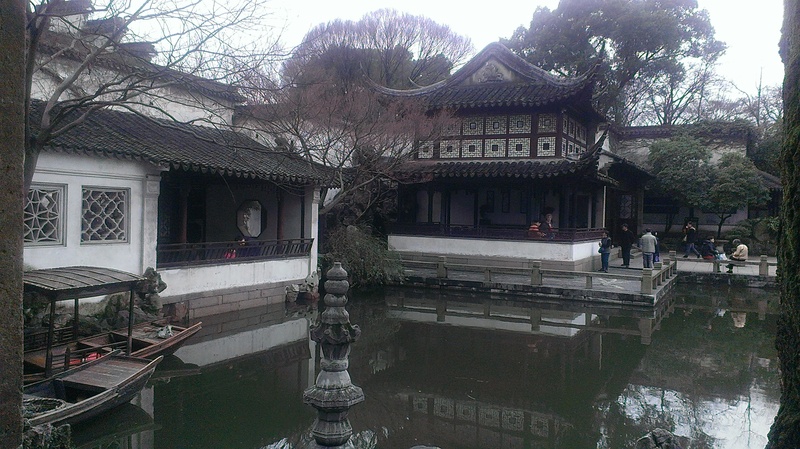 Suzhou is a garden city, we were told the night before that it is one of the only cities like this in China. It is nicknamed the Venice of the East and appropriately Venice, Italy is a sister city to Suzhou as is Portland, Oregon in the United States. 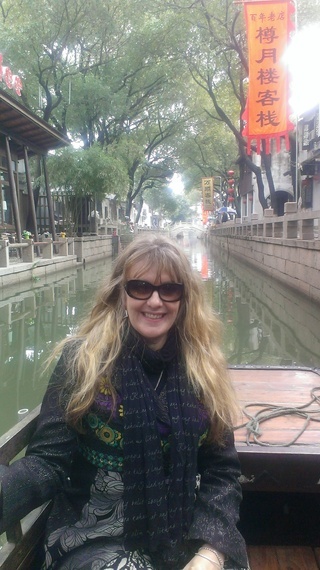 There are many canals to discover and even if Suzhou is just 70 miles west of Shanghai it could not be in more contrast boasting elegant stone bridges, canals, flowing water and a strong architecture that reflects the China of old. Located in the center of the Yangtze River Delta, Suzhou is one of the oldest cities in the Yangtze Basin dating back more than 2,500 years and along with manicured classical gardens, many of which are UNESCO World Heritage Site, there is also a tea culture that has folks visiting from around the world. Spring in Suzhou is the best time to enjoy the freshest cup of tea here with the Biluochun tea, which looks like an emerald spring spiral, found growing at this time in the East Hill Mountain area in Dongshan County within the Taihu Lake region. Biluochun translated means "Green Snail Spring" and the name actually derives from the tea's green color and its snail look. Popular since the Ming Dynasty, even today Biluochun tea is one of the most popular green teas in China and one of the top 10 Chinese teas boasting a unique piral shape bud, strong floral aroma, fruity taste and delicate white hairs. As the tea picking begins, which officially announces the beginning of the Biluochun Tea Culture and Festival it is not only the locals who enjoy tea leaf plucking, but visitors are also encouraged to join in this ancient activity. There are a number of tea plantations within the Taihu Lake region in which to experience tea picking and folks can experience the entire process from picking the bud to drinking a delicate cup of tea. 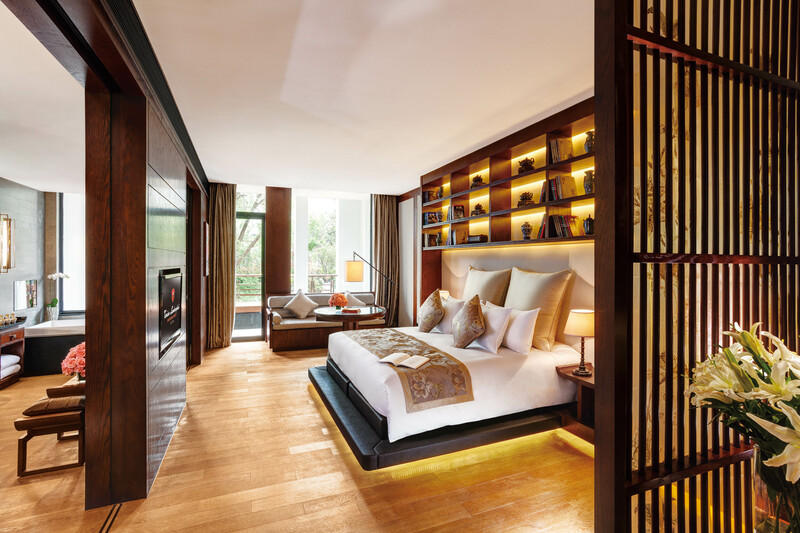 If the tea doesn't convince you that Suzhou is one of China's secrets to discover then add the charming place to your bucket list because of the history. Suzhou's Grand Canal is said to be one of the most magnificent constructions in ancient China at 1,200 miles long. It is manmade with 27 sections and 58 historical sites. Even better, it is on the UNESCO World Heritage List. The canal actually runs from Hangzhou, Zhejiang Province in the south to Beijing in the north and some parts of the canal are still used for transportation. You can opt for a boat ride on the old Canal and get a glimpse of the area's typical water towns, stone bridges with traditional designs and historical relics. This also includes the chance to stop in at a traditional tea house on the canal. One of the 10 great temples in China is in Suzhou. The Hanshan Temple is just outside of the city center amid the wafts of local street foods and the smell of incense. Inside the walls it is magical particularly when you hear the sounds of the famous chiming bell. Of course it is not all old in this beautiful part of China so while you don't want to miss the over 700 cultural relics, 60-plus classical gardens (nine listed as UNESCO World Cultural Heritage Sites) or the charming walking neighborhoods like Pingjiang Road and Shan Tan Street, there are new areas too. Take in Asia's largest Ferris Wheel located in the Singapore Industrial Park (SIP) and choose between either the Pan Pacific where I stayed or the plethora of new hotels like the Hyatt Regency, W Suzhou and Fairmont Suzhou. Visit http://www.traveltosuzhou.com/ for more details about traveling to Suzhou, a city that is easily accessible with non-stop flights from North America to Shanghai. From Shanghai Hongqiao International Airport (SHA) visitors can take the bullet train service to Suzhou, which is a 30-minute trip. Visas are required also required for travelers to China from the United States and make sure you apply for your visa at least one month prior to departure.